You can see a lot about a new home just from the curb going in. Why wait for a model to see if a new home community looks good to you? 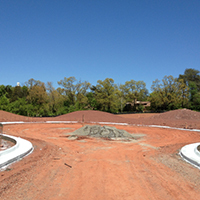 Once the curbs are in – especially in a smaller community – all you really need is a site plan, and maybe a pair of mud boots. 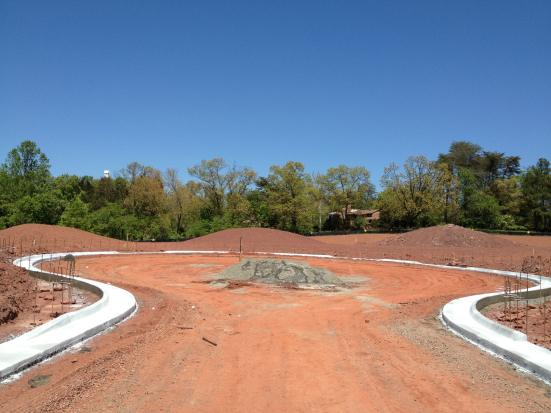 If its a smaller enclave, like the nine homes we’re building at Shaker Woods in Herndon, the very first thing you’ll see are the “real” views, because there are no future phases to obstruct what will eventually sit beyond your back yard. And, with a plan in hand you can also see the exposures, the backdrops, and – to some degree -even the topography. What’s more, you’ll get a good visual idea of the various lot sizes, too. So when you’re out there looking, don’t drive by a community just because the homes aren’t up yet. It could be the best time to set your sights on a particular site.